It is now important for me to state certain facts, from my perspective, on matters that have been in the public domain in respect of my involvement in the establishment of certain enforcement capabilities initiated during my tenure as Commissioner of SARS. I have not spoken in the public domain until now out of regard for the incumbents and in the belief that good sense will prevail and alleged disputes among others will be resolved constructively. However, some have seen it necessary to cast unwarranted aspersions on my integrity and record of public service. This is unacceptable and must not go unchallenged. I have served the public for over forty years in different capacities. I have contributed to the struggle, since the early 1970s, against apartheid and injustice. Since the advent of democracy in 1994 I have contributed to the building of democratic institutions and enhancing the values of fairness, equality and justice so that all South Africans can enjoy a good quality of life, and we can all relegate poverty and inequality to the dustbin of history. At the outset let me state that I have never approved, as Commissioner of SARS, of any illegal activities. The establishment of an additional unit within the Enforcement Division was entirely legal. Any suggestion to the contrary is rejected emphatically. It is, in fact, during my stint at SARS that a whole range of institutional checks and balances were set up to ensure that no individual had unfettered powers and discretion in applying the law. 2. Enforcement in the tax and customs context involves several thousands officials responsible for different forms of enforcement or compliance work: such as debt collection, audits, investigations, inspection of trade containers etc. of both legitimate trade and illicit trade. Risk assessments of taxpayers and traders is an essential part of enforcement – primarily because no authority in the world can audit every taxpayer or examine every container. Selection on the basis of objective risk criteria is a crucial part of compliance work. 3. The intention in establishing additional and specialised capacity arose from an acute increase, in particular, in smuggling of abalone and cigarettes in particular in the mid-2000s. Colleagues believed that a partnership with the intelligence agency in addition to collaboration with other law enforcement agencies would enhance South Africa’s compliance capacity. 4. Consequently, a proposal was made to then Minister of Finance, Trevor Manuel, to approve co-operation with the National Intelligence Agency and SARS to establish a “unit” which will reside in the NIA with specialist knowledge of customs/illicit trade matters. 5. The reason for this partnership was precisely the fact that only an intelligence agency may collect covert intelligence and that this assistance and collaboration would enhance SARS’ capacity to deal with illicit trade. This did not materialise. 6. However, I understand that, people were formally and legitimately hired and deployed by the relevant senior officials to perform specific tasks within the enforcement context described above, to combat smuggling of various commodities such as abalone and cigarettes. 7. During my tenure as Minister of Finance (and Mr Nene’s tenure as Deputy Minister of Finance), regular meetings were held with the SARS management team – as well as with the management teams of other entities that reported to me. 8. Reports, in general terms, on the implementation of SAR’s strategic and operational plans were presented both at the management meetings outlined above and in the form of monthly performance reports. 9. In terms of tax legislation, Ministers do not have access to the identity and tax information of taxpayers. 10. Operational reports provide aggregate and general trends. Such reports are also provided to Parliament a few times each year and in the annual reports tabled in Parliament. These are public documents. 11. The evidence over the years shows very clearly that the enforcement capabilities of SARS has resulted in the collection of billions of Rand in revenue, the prevention of the loss of billions of Rand of revenue and the protection of legitimate South African businesses. 12. Many specialised units were created with a variety of focus areas, for example the High Net worth Individuals Unit, based at the Large Business Centre, to bolster the fight against tax and customs evasion. 13. I have also indicated previously that there was nothing irregular in permitting the deputy commissioner access to his pension benefits and extending his contract – this is acceptable practice in the public service. I am pleased that this matter has now been settled on a mutually acceptable basis between the parties concerned. 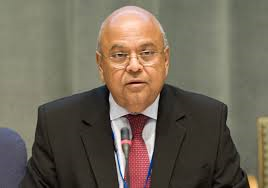 SARS remains a vital fiscal institution whose independence and credibility are crucial to providing the revenue required by government to continue providing social and economic services to all sections of society, especially poor communities. If the legitimacy of SARS is undermined in the eyes of the citizens, this will have dire consequences for the country. International literature is full of examples that bear testimony to this fact. I do not intend to engage any further on this matter.